Reflections enhance one of the Western Amateur’s biggest galleries around Skokie’s No. 9 green. 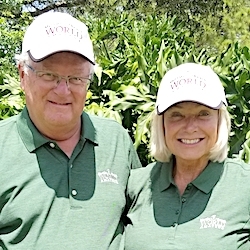 The Western Amateur golf tournament has been played for 115 years, and it never had a championship match as dramatic as the one that Norman Xiong and Doc Redman put on Saturday at Skokie Country Club in Glencoe. Xiong won it on the fourth playoff hole when Redman missed a 12-foot par-saving putt. Until Saturday no title match had gone beyond two extra holes, and the marathon duel tied for the fifth longest match in any round since the tourney went to an 18-hole match play format to determine the champion in 1961. The shotmaking down the stretch by both players was something to behold. Redman lipped out a putt to win the match on the final hole of regulation. Xiong did the same on the first playoff hole. Xiong extended the match by sinking a 12-footer for par on the third extra hole and then applied the pressure on the fourth with an approach to 15 feet after Redman could barely stay on the left side of the green and was left with a first putt of an estimated 120 feet. Doc Redman (left) and Norman Xiong brace for their epic shootout at Skokie Country Club. Xiong couldn’t convert his birdie putt, so Redman needed the par-saver to keep the match going, but he couldn’t convert. Still, he made a stirring comeback on the back nine. Xiong hit every green in regulation on the front side, Redman did the same on the back. Both players showed commendable sportsmanship in the late going. Xiong conceded sizeable putts to Redman on the 16th and 17th holes and Redman conceded a four-footer to Xiong on the 18th. Of the 22 holes played, 13 were won by one player or the other. It produced a fitting climax for the largest roving gallery since the Western Golf Association put the tourney in a Chicago-based rotation in 2009. WGA officials estimated about 500 walked with the finalists. The Western Amateur is well known as an endurance test. The format consists of 72 holes of stroke play before the field is cut to the low 16 for two days of matches to determine the winner. The staging of the championship lost its local flavor when Northbrook’s Nick Hardy, after making it to match play for the third time, was ousted in his first match by Australian Min Woo Lee on Friday. 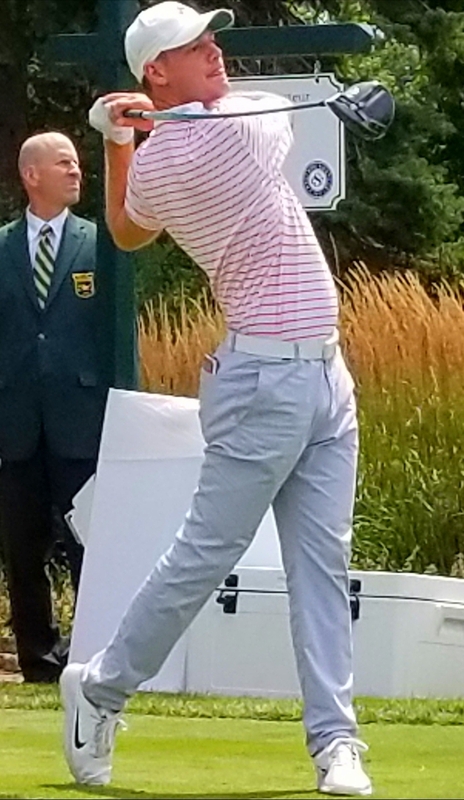 That relegated Hardy to looking ahead to the Illinois Open, which begins its three-day run on Monday at The Glen Club in Glenview and Briarwood, in Deerfield. Redman took out Lee in the next round. Redman smacks his first tee shot in the Western Amateur final. Both finalists had to survive semifinals on Saturday morning before their epic showdown. Xiong eliminated Derek Bard, the losing finalist to Bryson DeChambeau in the 2015 U.S. Amateur at Olympia Fields, while Redman was a 3 and 2 winner over Cameron Champ, the low amateur at this year’s U.S. Open. Xiong, from Canyon Lake, Calif., and Redman, from Raleigh, N.C., made for an interesting matchup. They were among the youngest finalists in tournament history, Xiong being 18 and Redman 19. (The tourney’s youngest winner was 17). 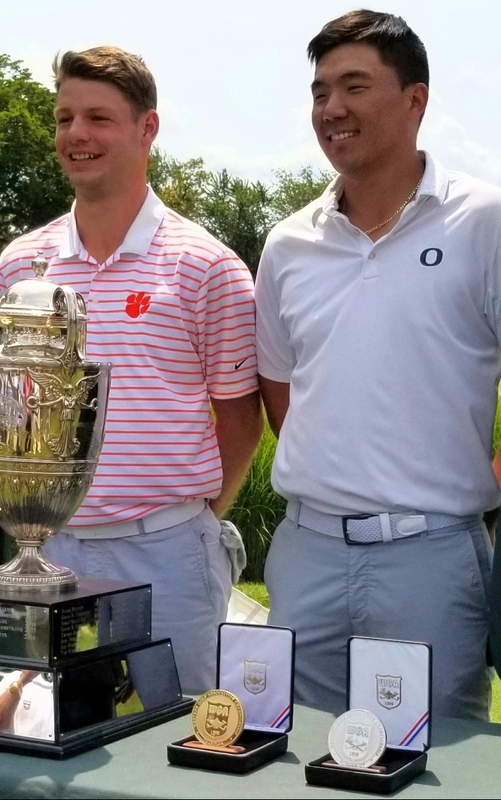 Both Xiong and Redman are collegiate sophomores, Xiong at Oregon and Redman at Clemson. Both were Freshman of the Year in their conferences, Xiong in the Pac-12 and Redman in the Atlantic Coast Conference. Both were playing in the Western Am for the first time and could meet again in the U.S. Amateur at California’s storied Riviera in two weeks before returning to their college teams. Xiong was also the tourney medalist, and he became the 25th player to rule both the stroke and match play competitions in the same Western Amateur. 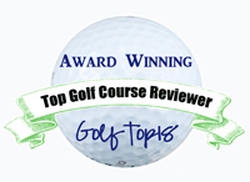 The tourney’s previous champions include Jack Nicklaus, Ben Crenshaw, Curtis Strange, Phil Mickelson and Tiger Woods.